Tennis star Rafa Nadal has put the disappointment of a premature Wimbledon exit by taking to the poker table. 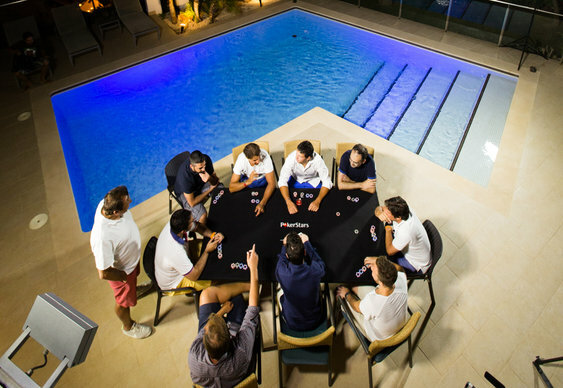 The Spanish superstar hosted a special poker tournament alongside former NBA basketball pro Juan Carlos Navarro and managed to avoid the tournament booby prize of being dunked in a swimming pool while fully clothed. Nadal will be in action next month defending his US Open, Canadian Open and Cincinnati Masters titles and told Spanish newspaper Marca that he had refused PokerStars’ ambassadorial offer when they first came knocking in 2010 but soon changed his mind. The 28-year-old also revealed ambitions to compete in the World Series of Poker (WSOP) in the future. “Right now for me it's impossible but when I retire I do not see why not,” said the 14-time Grand Slam winner. Nadal isn't the only top athlete to head to the poker felt to take their mind off a defeat in their chosen sport. Brazilian footballer Neymar has done the same following his side's 7-1 drubbing in the World Cup semi-final.